#StudyinUSA #USAstudentvisa #USAvisaassistance Study in USA. Apply for May / Sept 2019 intake. Apply without IELTS / GRE / GMAT / SAT. Pay University fees after visa approval. Get 5 years student visa. Part time work allowed. 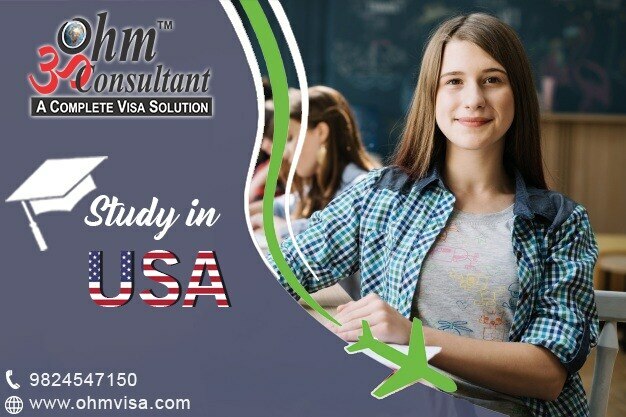 Ohm Consultant is the best student visa consultant for USA in Ahmedabad. Call us on 9824547150 / 8140040002.